The Quote Card should be used when you want to draw attention to a person's quote. The piece of text that you will be referencing. Choose the color of the text within the Quote Card. Choose the typeface that will be used for both the Quote and the Source. Increase or decrease the size of the text within the Quote Card. 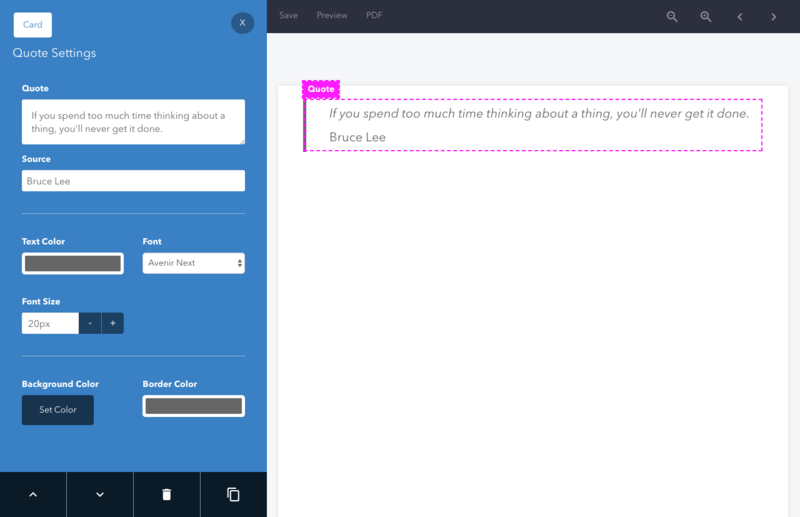 Set your quotation on a colored background. By default there is no background color set. A border will appear down the left hand side of your quotation by default. Change the color of the border with this setting.